Israel’s leading culinary journalist and television personality, comes from one of the most respected lineages in the Jewish world: he is the great-grandson of Eliezer Ben-Yehuda, the reviver of the Hebrew language; the grandson of Itamar Ben-Avi, who began modern Hebrew journalism; and the son of Moshe & Drora Hovav, “founding members” of Israel’s modern day public radio. Gil himself, with his illustrious career in journalism, publishing, television and as an author, has played a major role in the revival of Israeli cuisine and the change Israel has undergone in recent years, from a country of basic traditional foods into a “gourmet nation”. After four years of army service at the Israeli Intelligence and graduation of the Hebrew University (French literature and General studies), Gil began his career as a restaurant critic at the age of 24, moved on to become an editor in Israel’s leading newspaper, and was involved in the creation, as producer and presenter, in some of Israel’s most viewed and loved television cooking and food shows. These include the classic “Pepper, Garlic and Olive Oil”, “Captain Cook” (which reviewed the world’s best restaurants), “Meals That Made History” (shot in the US, Thailand, France, Switzerland, the UK and Israel) and “Going to the Market” – a show about the many ethnic cuisines of Israel. These series later turned into best-selling cookbooks. Recently, he published his first cookbook in English “Confessions of a Kitchen Rebbetzin”. As an author, Gil has published three best-selling novels, all related in different ways, to his family’s colorful history, exposing with humor and emotion a Jerusalem of his childhood that no longer exists. The fourth, titled ‘Twenty Four Doors’, was published in April 2015 and hit the top of the national bestseller list. Recently, one of his memoirs called ‘Candies from Heaven’ was published in English. 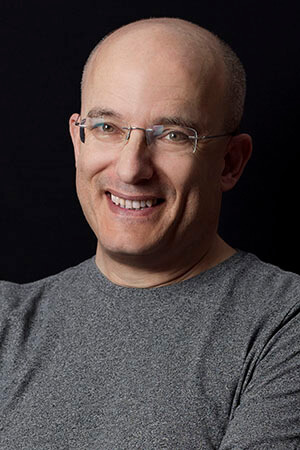 Nowadays, Gil is busy with his publishing and production company – Toad Communications and with his weekly radio show about restaurants in Israel . His latest 20 episode tv series, ‘Food for Thought’ included 20 interviews with Nobel laureates, including John Nash, Elie Wiesel, Daniel Kahneman, Eric Kandel and many others. Gil Hovav, an Israeli author and publisher, reveals the real story of the revival of the Hebrew language, from a personal point of view. Gil Hovav, an Israeli author and publisher, tells stories about Jerusalem of his childhood, that no longer exists. How do you get a five year old in 1960 Jerusalem to eat his vegetables? Why did my mother not eat anything when the 1948 siege was finally lifted from Jerusalem? What did my great-grandfather do on his death-bed, that shocked the British Consul? Gil Hovav, one of Israel’s top food writers, makes hummus, reveals all its secrets and lets you taste! What is Israel’s national dish? Is it really mentioned in the Bible? Why did our neighbours from Lebanon sue us in the international court in Den Haag over Hummus? And what are the absolute dos and don’ts of hummus?